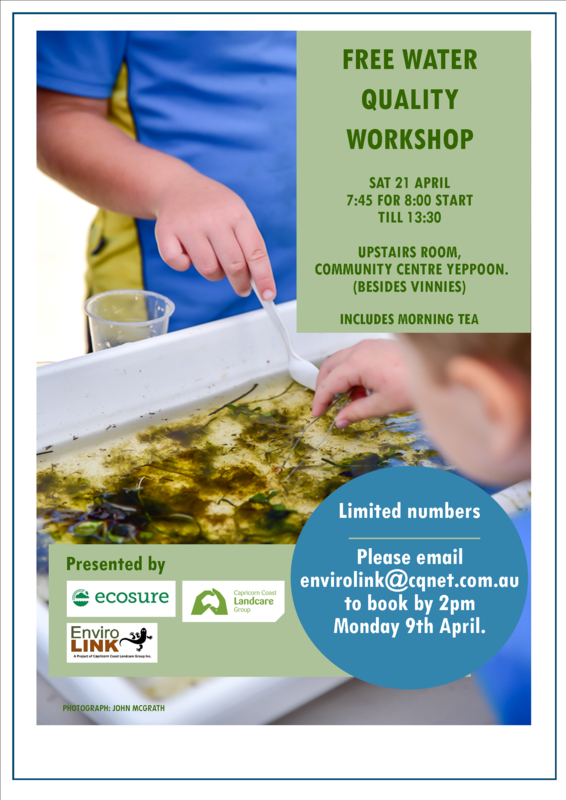 Ecosure is delivering a hands-on water quality workshop for the Capricorn Coast Landcare group that will run through the basics of water quality monitoring. Looking at the existing Landcare rehabilitation site for the community at Fig Tree Creek, Ecosure will demonstrate the use of water quality testing equipment and how certain factors can affect the rehabilitation of riverbanks and plants in different ways. Places are limited and bookings essential so be quick! Contact envirolink@cqnet.com.au to secure your place.